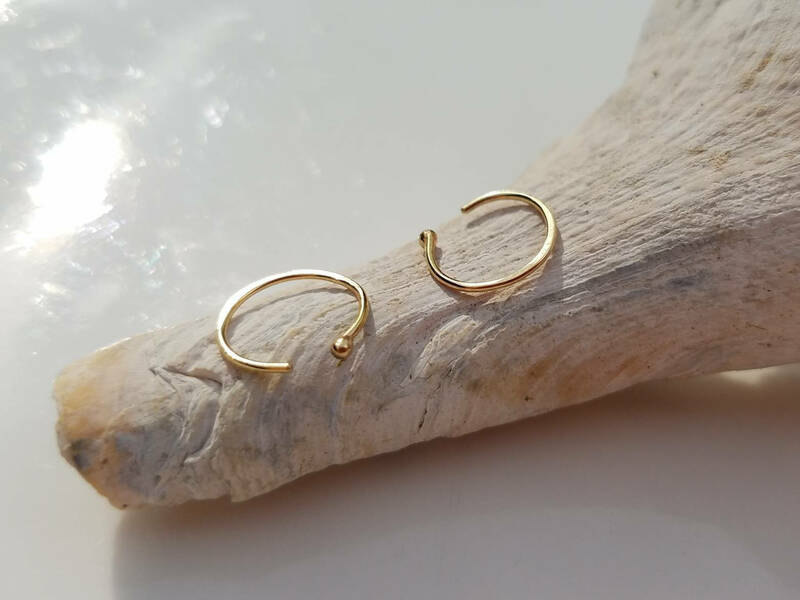 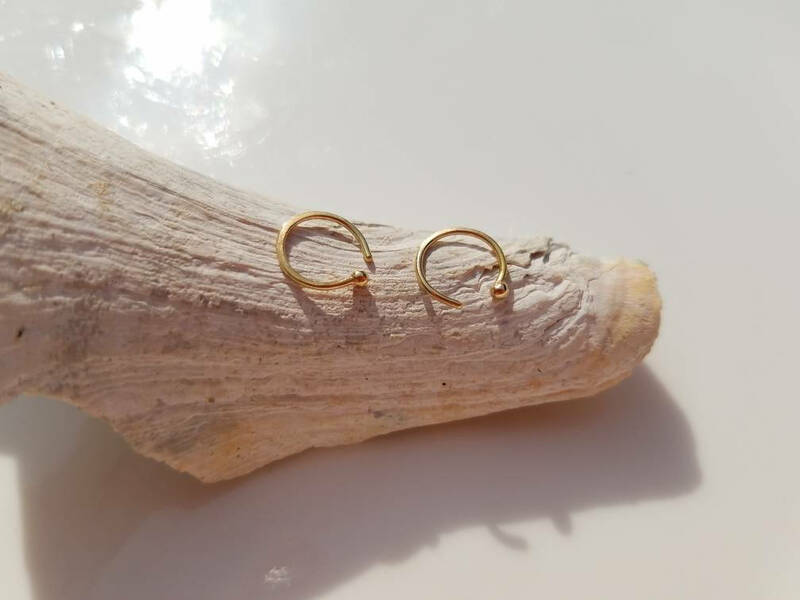 I created these dainty 14k gold hoops by hand. 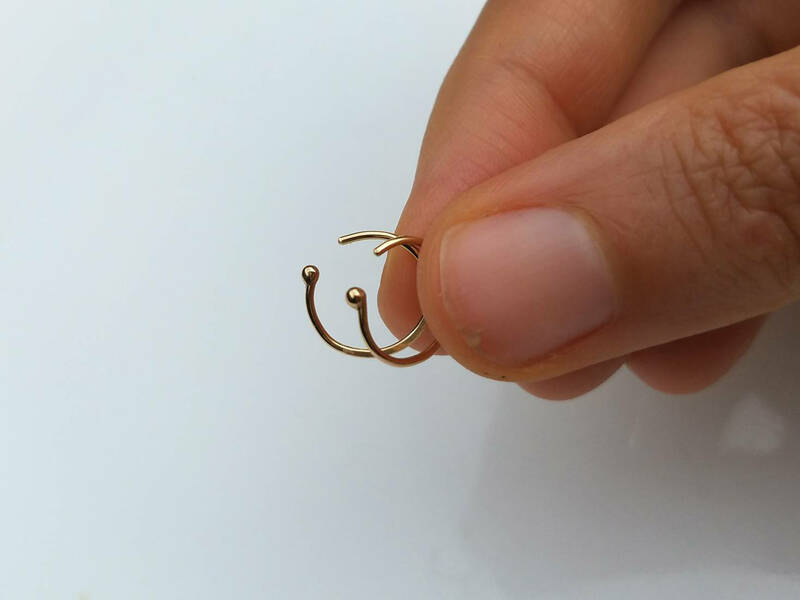 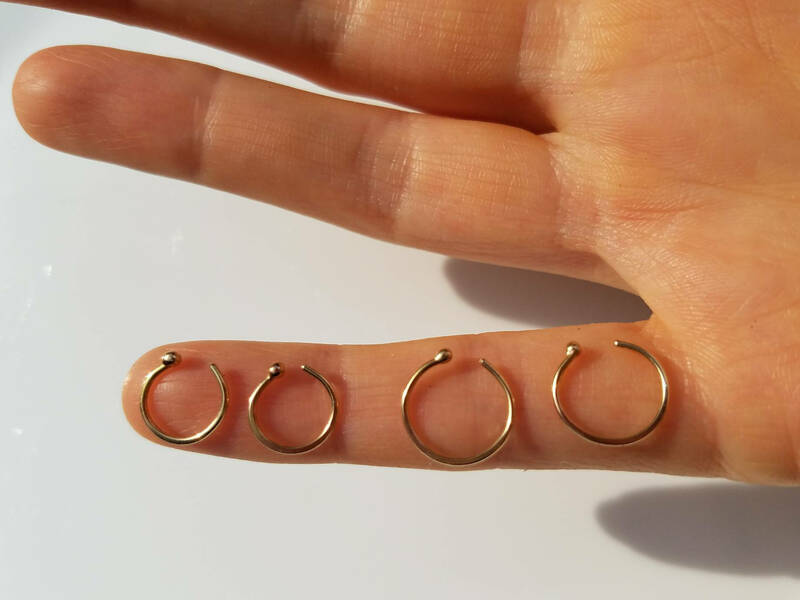 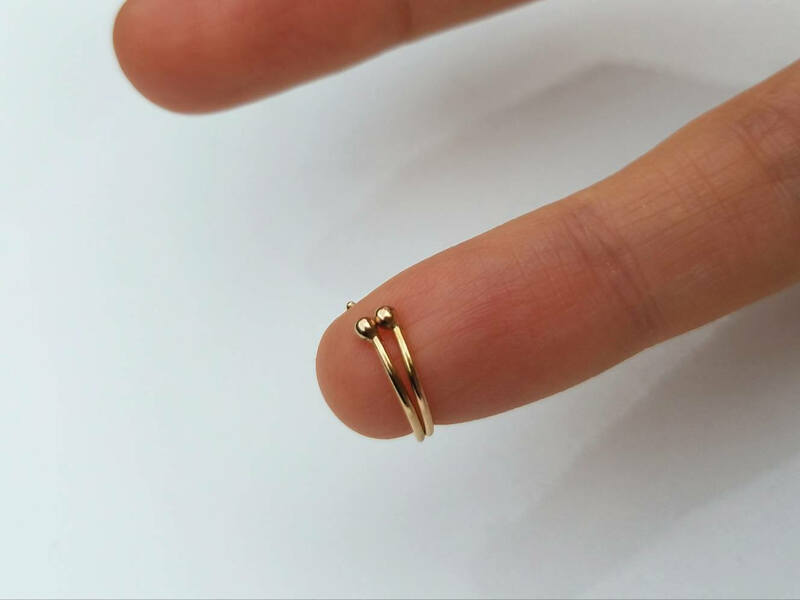 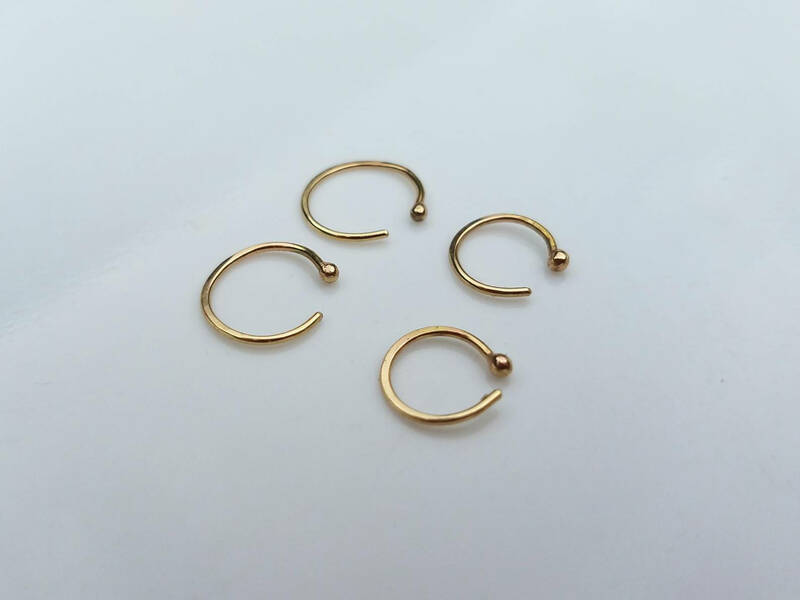 They are open hoops with a shiny gold sphere at one end, which has the appearance of a tiny shiny stud. 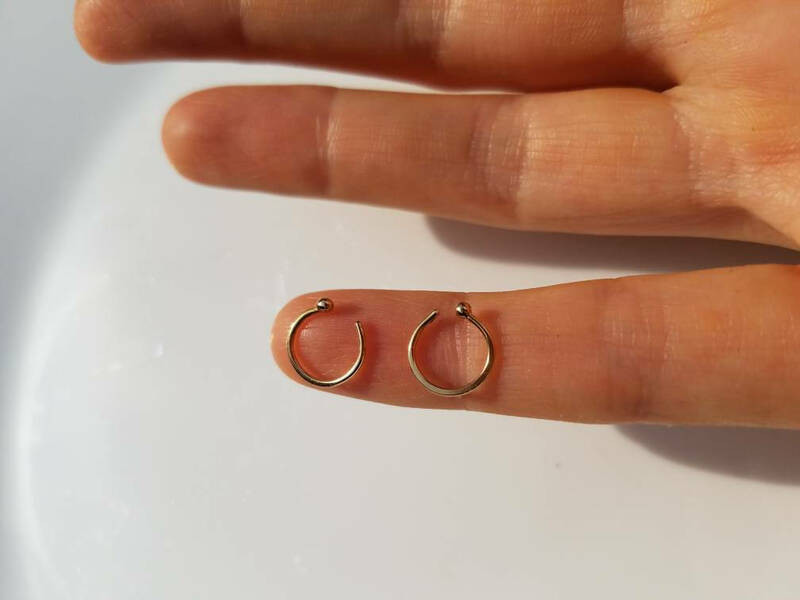 They are not identical, each one unique. 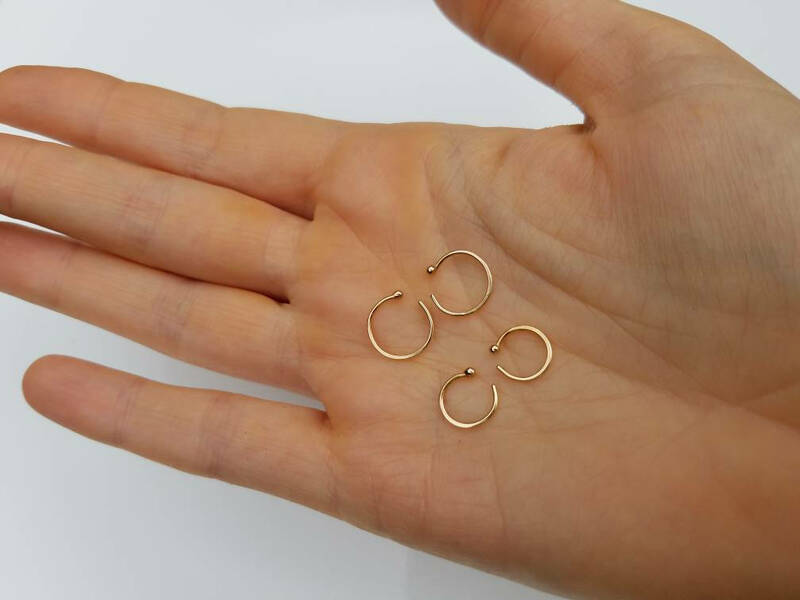 The smaller set measures approximately 10mm, the slightly larger set 12mm .